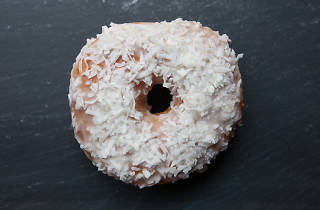 Photograph: Martha WilliamsPineapple coconutThe yeast doughnut has pineapple glaze and sweetened coconut flakes, but there&rsquo;s not a lot of pineapple flavor. 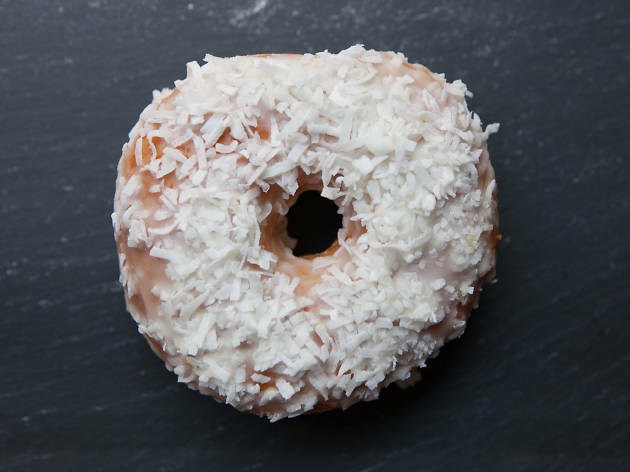 But that's okay, since diehard coconut fans like myself don't have too many options for coconut doughnuts around town. 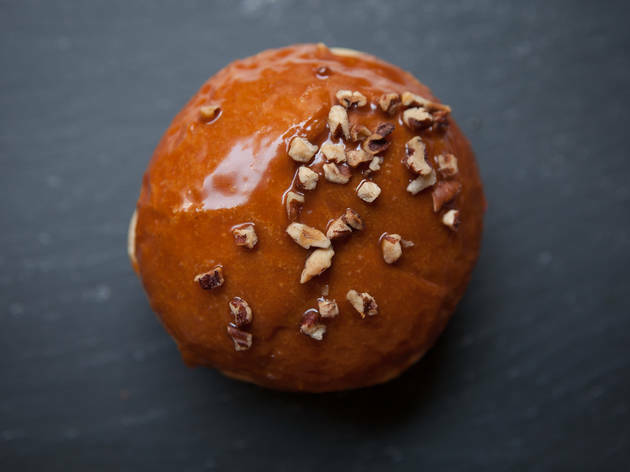 Photograph: Martha WilliamsCaramel pumpkin pecanThe yeast doughnut is filled with pumpkin mousse and topped with caramel and pecans. 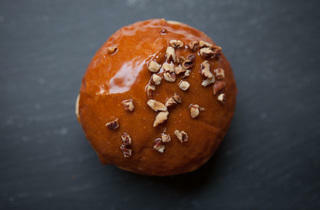 I liked this more than expected&mdash;it looks heavy, but the pumpkin filling is pretty light and the pecans are nice and toasty. Photograph: Martha WilliamsSeedling apple ciderSince I only ever order plain flavored cake doughnuts, I was predisposed to like this one best. 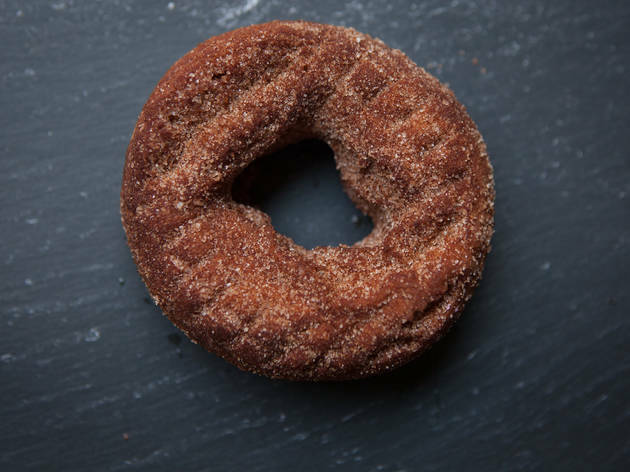 The cake doughnut is made with Seedling apple cider and sprinkled with cinnamon and sugar, and it's an alternative to the basic buttermilk doughnut for those of us who don't love frosted, filled cakes. Photograph: Martha WilliamsHam and cheddarOk, this is a weird one. 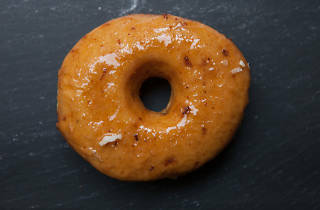 Apparently there&rsquo;s ham, cheddar and roasted garlic somewhere in here, but I can only taste the honey-mustard glaze. I can&rsquo;t say I hate it, because mustard is the best condiment, but I also can&rsquo;t say I&rsquo;d rush to have one again. 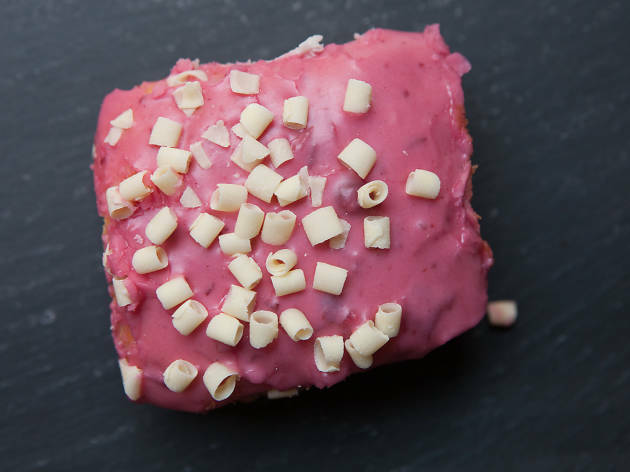 Glazed & Infused unveiled its new fall doughnut menu today and graciously sent us a box of the new flavors to try. 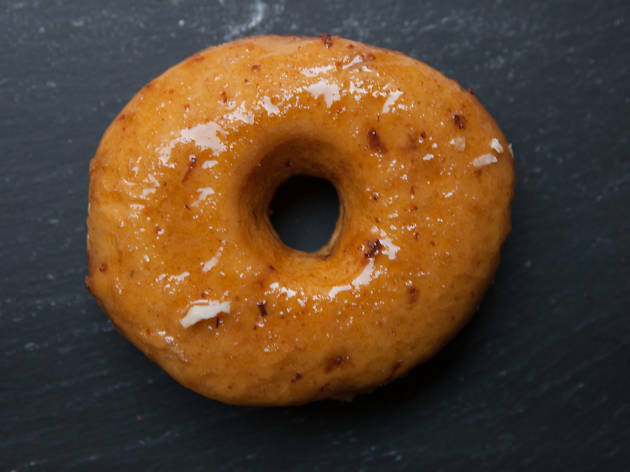 They are: pineapple coconut, caramel pumpkin pecan, white chocolate cranberry, Seedling apple cider, and ham and cheddar, Glazed’s first savory doughnut. 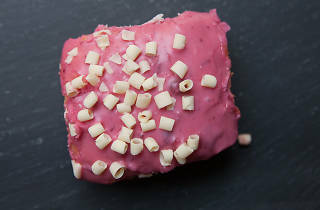 Here’s how they taste.